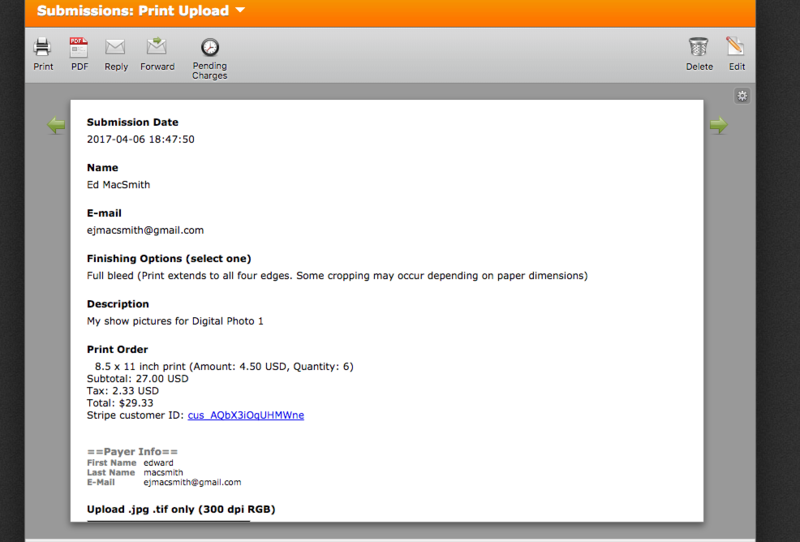 I use jotform to receive submissions for printing services. 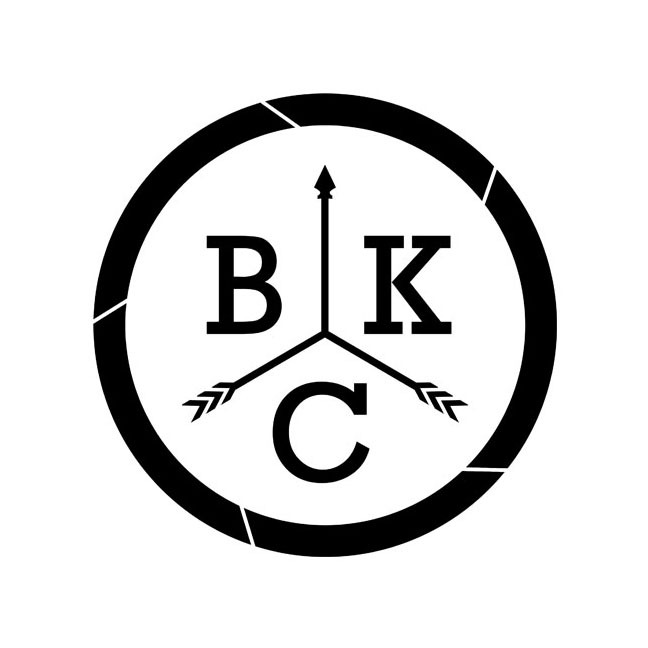 Whenever a client has a space in their filename, the image will upload to Jotform but will not upload that particular file to Dropbox as well (which is where we setup our print queue). We then have to log into Jotform and go through several hoops to manually download the images from Jotform to our Dropbox folder. Can this be fixed? I'd like to just consult Dropbox for image submissions as, frankly, the Jotform page is insufficient for using for this purpose. 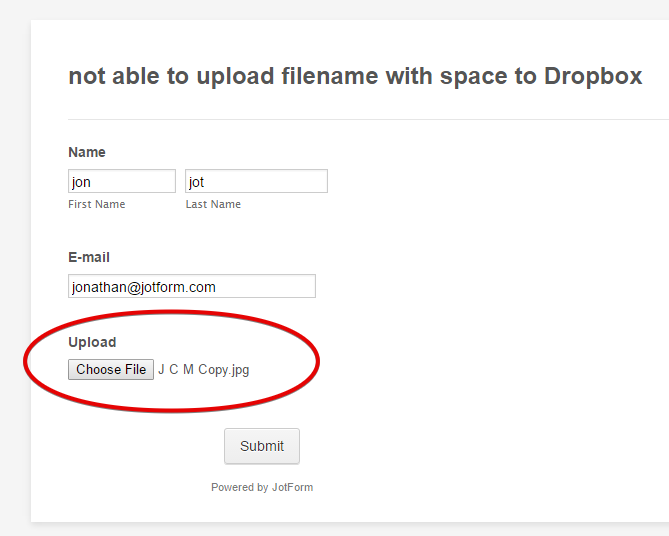 I could not replicate this problem when I test the Dropbox integration using JotForm. 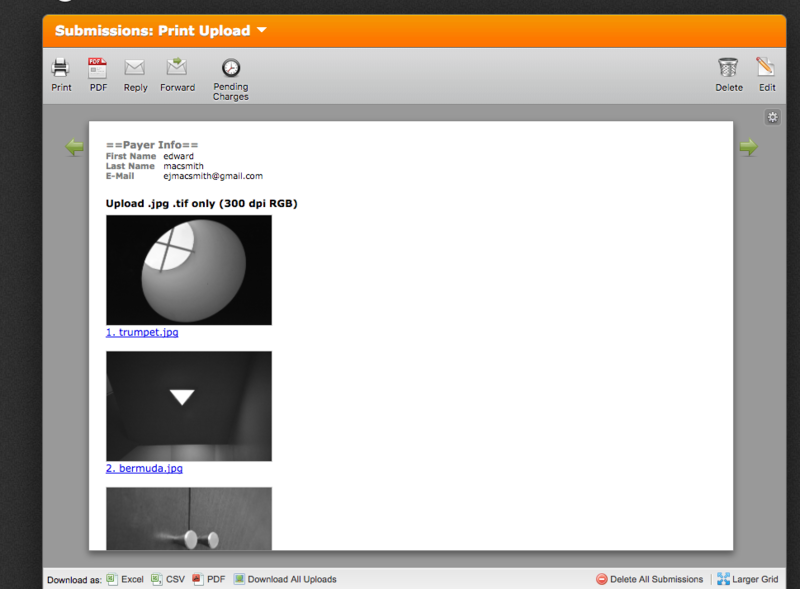 I uploaded an image file with spaces on the filename using the Upload field on the form. and it was copied as intended to my Dropbox. Was your Dropbox integration not working the same? Or perhaps I made a wrong process to test the issue. Please describe to us how to reproduce it and we will test further. Tell us also the submission in your form that have the uploaded file so that we can make a test using the file uploaded by your user. I'm sorry but this is still not working on my end. 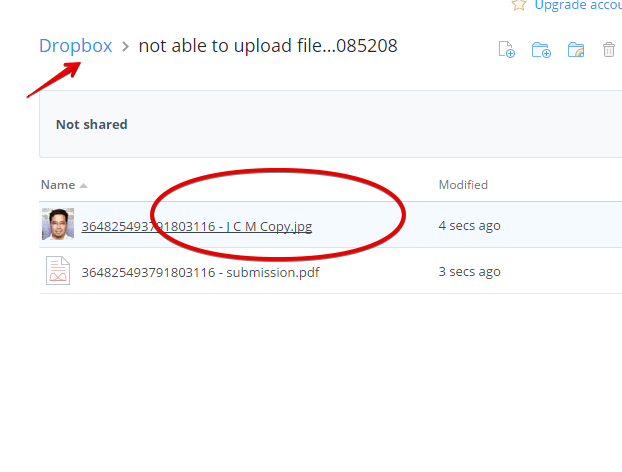 Jotform copies over the standard PDF file and any files that do not contain spaces, but somehow the files with spaces do not get copied to the dropbox folder. I have checked dropbox's specs and they do not prohibit filenames containing spaces. Please help with any further assistance.